Respect for the dead has always been a prominent feature of Irish culture. Traditions say a very special female spirit, the bean sí (banshee) is often heard to announce by her wailing the impending death of a member of a family. A wide range of beliefs and practices were concerned with the issues of death and burial and, in former times, the waking of the dead was an important social occasion. The practice of Waking the dead used to be the custom in most Celtic countries in Europe for mourners to keep watch or vigil over their dead until they were buried - this was called a 'Wake'. The wake of the past was an occasion for both sadness and merriment. Ireland appears to be the only country where the custom has survived as strong as it is, although it must be said that it is losing favor here too and the funeral parlor seems to be replacing the home as the venue for the traditional waking. More families too are beginning to wake their dead in private. Maybe in time the traditional public funeral which is seen as an expression of sympathy for the bereaved family will also have disappeared. There was always a certain unwritten ritual that sympathizers observed when calling to the Wake house. First there was a visit to the room where the corpse was laid out to say a prayer and pass the usual compliments about how well he/she looked even in death. A quick look around took in the crucifix, lighted candles on a little table and the well laundered linen on the bed. In some families bed linen was kept specifically for this purpose and even though it might be a hundred years old it could be as white as the driven snow. In nearly every area there was a woman or two who washed and laid out the dead. They too came in for a word of compliment before leaving the room. 'Didn't Cassie make a great job of laying him out. What would the place do without her' was a statement rather than a question. Then came the expressions of sympathy. Every relative, even down to the most distant in-law was given a perfunctory handshake and a muttered 'Sorry for your trouble'. The real sympathy was reserved for the spouse or immediate family. The caller was invited to sit down. If no seat was available some one would be sure to get up and offer one glad of the opportunity to get slipping out unobserved. Neighbors who had come in to help would go around offering snuff, plug tobacco and clay pipes. There was always a 'wee wan' for the men or a small port for the ladies. In more recent times these were replaced by tea, cake and sandwiches. This article is about human burial practices. For other uses, see Burial (disambiguation). 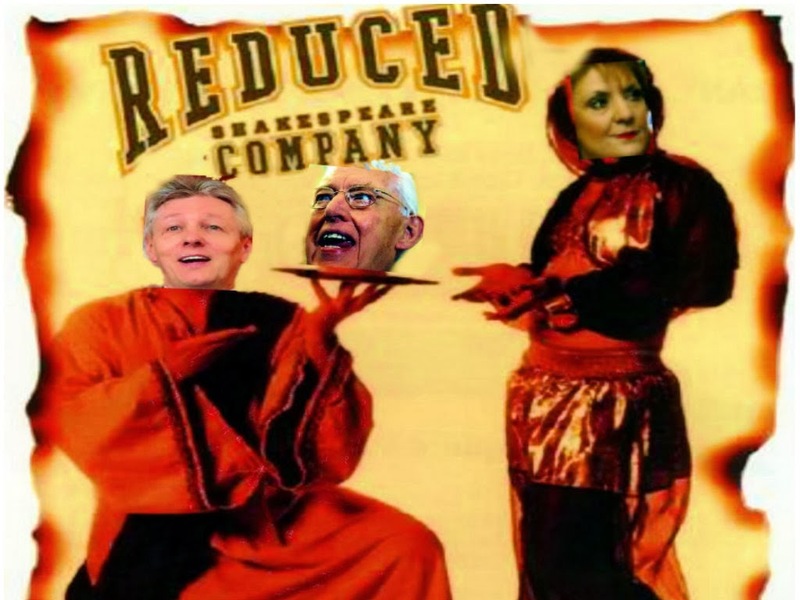 "Inhume" and "Entombment" redirect here. For the band, see Inhume (band). For The Entombment, see The Entombment (disambiguation). 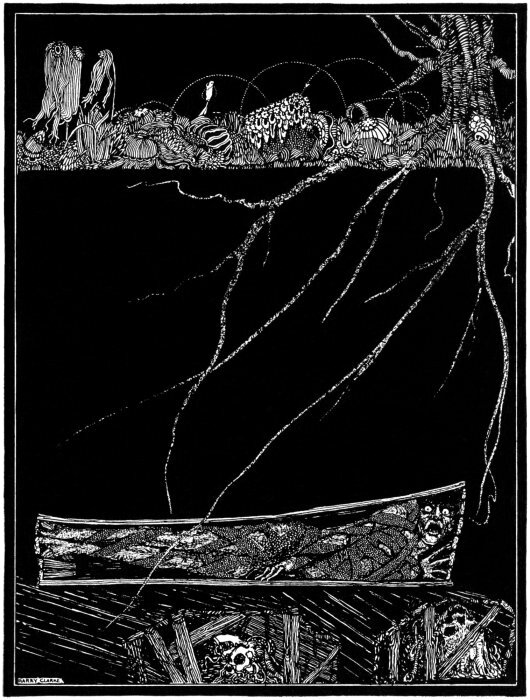 Underwater funeral in Twenty Thousand Leagues Under the Sea from an edition with drawings by Alphonse de Neuville andÉdouard Riou. Burial or interment is the ritual act of placing a dead person or animal, and/or objects into the ground. 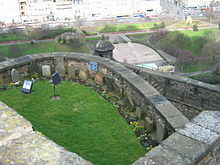 This is accomplished by excavating a pit or trench, placing the deceased or the object(s) in it, and covering it over. Tomb of two women, Brittany. Intentional burial, particularly with grave goods, may be one of the earliest detectable forms of religious practice since, as Philip Lieberman suggests, it may signify a "concern for the dead that transcends daily life." Though disputed, evidence suggests that theNeanderthals were the first human species to intentionally bury the dead, doing so in shallow graves along with stone tools and animal bones. Exemplary sites include Shanidarin Iraq, Kebara Cave in Israel and Krapina in Croatia. Some scholars, however, argue that these bodies may have been disposed of for secular reasons. Prehistoric cemeteries are referred to by the more neutral term grave field. They are one of the chief sources of information on prehistoric cultures, and numerous archaeological cultures are defined by their burial customs, such as the Urnfield culture of theEuropean Bronze Age. Human burial practices are the manifestation of the human desire to demonstrate "respect for the dead", and to prevent the possibilities of revenants [ghosts] harming the living. Cultures vary in their mode of respect. Burial can be seen as an attempt to bring closure to the deceased's family and friends. Psychologists in some Western Judeo-Christian quarters, as well as the US funeral industry, claim that by interring a body away from plain view, the pain of losing a loved one can be lessened. In many cultures, human corpses were usually buried in soil. The roots of burial as a practice reach back into the Middle Palaeolithic and coincides with the appearance of Homo Sapiens Neanderthalensis and Homo Sapiens, in Europe and Africa respectively. As a result, burial grounds are found throughout the world. Through time, mounds of earth, temples, and underground caverns were used to store the dead bodies of ancestors. In modern times, the custom of burying dead people below ground, with a stone marker to indicate the burial place, is used in most cultures, although, other means, such as cremation, are becoming more popular in the West (cremation is the norm in India and mandatory in Japan). Natural burial—also called "green burial"—is the process by which a body is returned to the earth to decompose naturally in soil. Natural burial became popularized in the United Kingdom in the early 1990s by Ken West, a professional cremeterian for the City of Carlisle responding to the U.K's call for changes in government that aligned with the United Nations' Environmental Program LocalAgenda 21. In addition, there are multiple green burial sites in the United States, Green burials are developing in Canada (Victoria, BC and Cobourg, Ontario), as well as in Australia, Ireland, and the United States. Embalming is the practice of preserving a body against decay, and is used in many cultures.Mummification is a more extensive method of embalming, further delaying the decay process. Bodies are often buried wrapped in a shroud or placed in a coffin (or in some cases, acasket). A larger container may be used, such as a ship. In the United States, coffins are usually covered by a grave liner or a burial vault, which prevents the coffin from collapsing under the weight of the earth or floating away during a flood. These containers slow the decomposition process by (partially) physically blocking decomposing bacteria and other organisms from accessing the corpse. An additional benefit of using containers to hold the body is that if the soil covering the corpse is washed away by a flood or some other natural process, the corpse will still not be exposed to open air. The inclusion of personal effects may be motivated by the beliefs that in the afterlife people will wish to have with them what was important to them on earth. Alternatively, in some cultures, it is felt that when a person dies, their possessions (and sometimes people connected to them such as wives) should go with them out of loyalty or ownership. Though not generally a motivation for the inclusion of grave goods with a corpse, it is worth considering that future archaeologistsmay find the remains (compare time capsule). Artifacts such as clothing and objects provide insight into how the individual lived. This provides a form of immortality for the deceased. Burials may be placed in a number of different positions. Christian burials are madeextended, i.e., lying flat with arms and legs straight, or with the arms folded upon the chest, and with the eyes and mouth closed. Extended burials may be supine (lying on the back) or prone (lying on the front). However, in some cultures, being buried face down shows marked disrespect. Other ritual practices place the body in a flexed position with the legs bent or crouched with the legs folded up to the chest. Warriors in some ancient societies were buried in an upright position. In Islam, the head is pointed toward and the face is turned toward Mecca, the holiest city in Islam. Many cultures treat placement of dead people in an appropriate position to be a sign of respect even when burial is impossible. Swift's notion of inverted burial might seem the highest flight of fancy, but it appears that among English millenarians the idea that the world would be "turned upside down" at the Apocalypse enjoyed some currency. 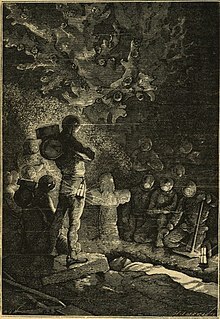 There is at least one attested case of a person being buried upside down by instruction; a Major Peter Labilliere of Dorking (d. June 4, 1800) lies thus upon the summit of Box Hill.Similar stories have attached themselves to other noted eccentrics, particularly in southern England, but not always with a foundation in truth. Slaves were buried oriented East to West, with feet at the Eastern end (head at the Western end, thus raising facing East). This orientation permits rising to face the return of Christ without having to turn around upon the call of Gabriel’s trumpet. Gabriel’s trumpet would be blown in the Eastern sunrise. 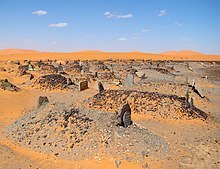 In many cultures graves will be grouped, so the monuments make up a necropolis, a "city of the dead" parallelling the community of the living. The corpse of Pope Formosus was actually disinterred, placed on trial (see Cadaver Synod), found guilty, and ultimately thrown into theRiver Tiber. Many countries have buried an unidentified soldier (or other member of the military) in a prominent location as a form of respect for all unidentified war dead. The United Kingdom's Tomb of the Unknown Warrior is in Westminster Abbey, France's is buried underneath theArc de Triomphe, Italy's is buried in the Monumento al Milite Ignoto in Rome, Canada's is buried at the National War Memorial in Ottawa, Australia's Tomb of the Unknown Soldier is located at the Australian War Memorial in Canberra, New Zealand's Tomb of the Unknown Warrior is in Wellington, the Tomb of the Unknown Soldier in Russia is in Alexander Garden in Moscow and the United States' Tomb of the Unknown Soldier is located at Arlington National Cemetery. Many cultures practise anonymous burial as a norm, not an exception. For instance, in parts of eastern Germany, up to 43% of burials are anonymous. According to Christian Century magazine, the perspective of the Roman Catholic Church is that anonymous burials reflect a dwindling belief in God, but others claim that the practice relates more to the exorbitant cost of grave markers and the solitary nature of German life. There is far greater flexibility in dealing with the remains in cremation as opposed to the traditional burial. Some of the options include scattering the ashes at a place close to the heart of the deceased or keeping the ashes at home. Ashes can also be buried underground or in a columbarium niche. A method with similar benefits, but ecologically superior, is freeze-drying the corpse. Intentional: buried alive as a method of execution or murder, called immurement when the person is entombed within walls. Inancient Rome, Vestal Virgins who broke their vows were punished in this way. Accidental: A person or group of people in a cave, mine, or other underground area may be sealed underground due to anearthquake, cave in, or other natural disaster or accident. Live burial may also occur due to avalanches on mountain slopes. Historically, burial at cross-roads was the method of disposing of executed criminals and persons who have committed suicide. Cross-roads form a crude cross shape and this may have given rise to the belief that these spots were selected as the next best burying-places to consecrated ground. Another possible explanation is that the ancient Teutonic (Germanic) ethnic groups often built their altars at the cross-roads, and since human sacrifices, especially of criminals, formed part of the ritual, these spots came to be regarded as execution grounds. Hence after the introduction of Christianity, criminals and suicides were buried at the cross-roads during the night, in order to assimilate as far as possible their funeral to that of the pagans. An example of a cross-road execution-ground was the famous Tyburn in London, which stood on the spot where the Roman road to Edgware and beyond met the Roman road heading west out of London. Superstition also played a part in the selection of cross-roads in the burial of suicides. Folk belief often held such individuals could rise as some form of undead (such as a vampire) and burying them at cross-roads would inhibit their ability to find and wreak havoc on their living relations and former associates. In addition to burying human remains, many human cultures also regularly bury animalremains. Pets and other animals of emotional significance are often ceremonially buried. Most families bury deceased pets on their own properties, mainly in a yard, with a shoe box or any other type of container served as a coffin. The ancient Egyptians are known to havemummified and buried cats, which they considered deities. Humans are not always the only species to bury their dead. Chimpanzees and elephants are known to throw leaves and branches over fallen members of their family groups. In a particularly odd case, an elephant which trampled a human mother and child buried its victims under a pile of leaves before disappearing into the bushes. In 2013, a viral videocaught a dog burying a dead puppy by pushing sand with its own nose. If an individual dies in suspicious circumstances, the police may request exhumation in order to determine the cause of death. Deceased individuals who were either not identified or misidentified at the time of burial may be reburied if survivors so wish. In Southern Chinese culture, graves are opened after a period of years. The bones are removed, cleaned, dried, and placed in a ceramic pot for reburial (in Taiwan), or in a smaller coffin to be taken home by the rest of the family (in Vietnam). 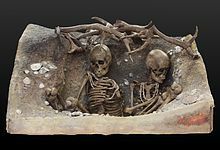 The practice is called jiǎngǔ in Taiwan, or boc mo in Vietnam '揀骨 “digging up bones” and is an important ritual in the posthumous “care” of children for their deceased parents and ancestors. Failure to carry out this ritual is considered a failure of filial piety. Similarly in Hong Kong where real estate is at a premium, burials in government-run cemeteries are disinterred after six years under exhumation order. Remains are either collected privately for cremation or reburied in an urn or niche. Unclaimed burials are exhumed and cremated by the government. Permanent burial in privately run cemeteries is allowed. Remains may be exhumed in order to be reinterred at a more appropriate location. For example, when the remains of MIA soldiers are discovered, or the case of Nicholas II of Russia and his family, who were exhumed from unmarked graves near Yekaterinburg to be reinterred in the Peter and Paul Fortress in St. Petersburg. The passing of time may mean political situations change and a burial can take place in different circumstances. Roger Casementwas executed at Pentonville Prison in London on 3 August 1916 and buried in the prison grounds but his body was exhumed given astate funeral in Dublin on 1 March 1965. Remains may be exhumed and reburied en masse when a cemetery is relocated, once local planning and religious requirements are met. In rare, historical cases (e.g. Pope Formosus or Oliver Cromwell), a body may be exhumed for posthumous execution, dissection, or gibbeting. Notable individuals may be exhumed to answer historical questions. Many Ancient Egyptian mummies have been removed for study and public display. In the UK once the top of a coffin has been lowered below ground level in a burial if it raised again, say for example the grave sides are protruding and need further work, this is considered an exhumation and the Home Office are required to be notified and a full investigation undertaken. Therefore grave diggers in the UK are particularly careful to ensure that grave sites are dug with plenty of room for the coffin to pass. Cemeteries sometimes have a limited number of plots in which to bury the dead. Once all plots are full, older remains may be moved to an ossuary to accommodate more bodies, in accordance with burial contracts, religious and local burial laws. It enables archaeologists to search the remains to better understand human culture. It enables construction agencies to clear the way for new constructions. One example of this is cemeteries in Chicago next toO'Hare International Airport to expand the runways. Frequently, cultures have different sets of exhumation taboos. Occasionally these differences result in conflict, especially in cases where a culture with more lenient exhumation rules wishes to operate on the territory of a different culture. For example, United Statesconstruction companies have run into conflict with Native American groups that have wanted to preserve their burial grounds from disturbance. In folklore and mythology, exhumation has also been frequently associated with the performance of rites to banish undeadmanifestations. An example is the Mercy Brown Vampire Incident of Rhode Island, which occurred in 1892. Cremation is the incineration of the remains. This practice is common amongst Hindusand is becoming increasingly common in other cultures as well. If a family member wishes, the ashes can now be turned into a gem, similar to creating synthetic diamonds. Cryonics there is debate if cryonics is a medical treatment or a method of interment. See also information theoretical death; clinical death. Excarnation is the practice of removing the flesh from the corpse without interment. The Zoroastrians have traditionally left their dead on Towers of Silence, where the flesh of the corpses is left to be devoured by vultures and other carrion-eating birds. Alternatively, it can also mean butchering the corpse by hand to remove the flesh (sometimes referred to by the neologism "defleshing"). 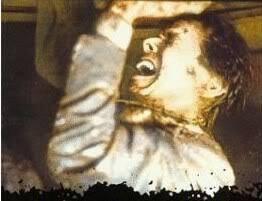 Gibbeting was the ancient practice of publicly displaying remains of criminals. Hanging coffins are coffins which have been placed on cliffs. They can be found in various locations, including China and thePhilippines. Jump up^ Philip Lieberman. (1991). Uniquely Human. Cambridge, Mass. : Harvard University Press. ISBN 0-674-92183-6. Jump up^ "Evolving in their graves: early burials hold clues to human origins - research of burial rituals of Neanderthals". Findarticles.com. 2001-12-15. Retrieved 2011-03-25. Jump up^ Uniquely Human page 163. Books.google.com. Retrieved 2011-03-25. Jump up^ "04--ARTI--Morgan--307-312" (PDF). Retrieved 2011-03-25. Jump up^ Claude de Ville de Goyte (2004). "Epedemics Caused by Dead Bodies: A Disaster Myth That Does Not Want to Die"(PDF). Jump up^ "greenburialcouncil.org". greenburialcouncil.org. 2010-08-26. Retrieved 2012-10-14. Jump up^ "CINDEA (Canadian Integrative Network for Death Education and Resources) maintains resources on green burial and other topics relevant to the pan-death movement". Cindea.ca. Retrieved 2012-08-07. Jump up^ Lander, J (2000). Peter Labilliere: The Man Buried Upside Down on Box Hill. Chertsey: Post Press. ISBN 978-0-9532424-1-2. Jump up^ Simpson, Jacqueline (August 2005). "The Miller's tomb: facts, gossip, and legend". Folklore 116 (2): 189.doi:10.1080/00155870500140230. Jump up^ Simpson, Jacqueline (January—March 1978). "The World Upside down Shall Be: A Note on the Folklore of Doomsday".The Journal of American Folklore (American Folklore Society)91 (359): 559–567. doi:10.2307/539574. JSTOR 539574. Jump up^ "Bahá'í Reference Library - The Kitáb-i-Aqdas, Pages 101-102". Reference.bahai.org. 2010-12-31. Retrieved 2011-03-25. Jump up^ "Baha'i Burial". Bahai-library.com. Retrieved 2011-03-25. Jump up^ "Stonereport News for your natural stone business". Stonereport.com. Retrieved 2011-03-25. Jump up^ Brown, Emily (2013-06-25). "Dog buries puppy in viral video". USA Today. 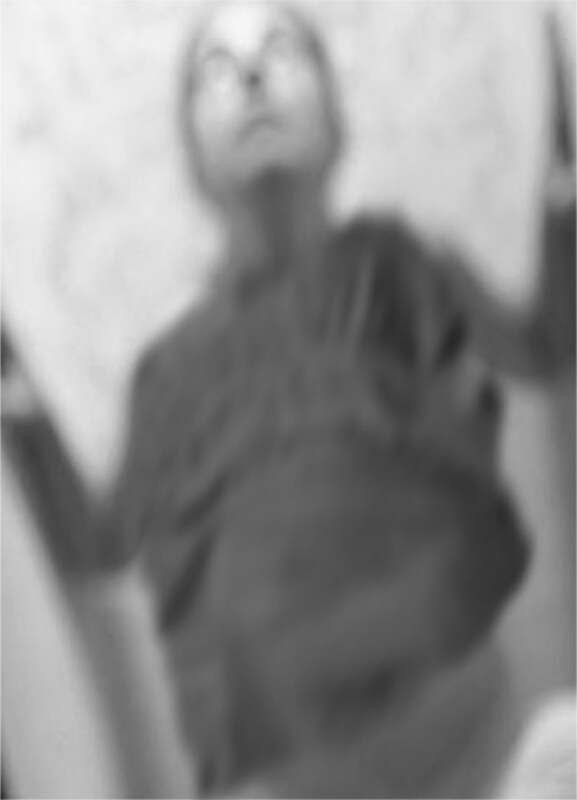 Retrieved 2013-06-26. Jump up^ "Accident victim's body is exhumed". BBC News. July 6, 2006. Retrieved April 27, 2010. Jump up^ "Coffin Burial". Fehd.gov.hk. Retrieved 2011-03-25. Jump up^ Department for Community Affairs, Coroners and Burials, 2007. Jump up^ Lamm, Maurice. "The Grave". Chabad.org. Jump up^ "Man Andrew Jackson killed in duel to be reburied". Associated Press. 24 June 2010. Jump up^ 1991 Metcalf, Peter & Richard Huntington. Celebrations of Death: The Anthropology of Mortuary Ritual. Cambridge Press, New York. Print. Being buried prematurely is one of the most terrifying of all fears. Edgar Allan Poe wrote about it and it has been the subject matter of many horror movies. Surprisingly real life cases of this terrible mistake are more common than one might think. Years ago when embalming wasn’t as common and because of inferior medical equipment to detect life there are numerous cases where people have had the terrifying experience of regaining consciousness in their own coffin. This list includes 10 such cases. Some sources for the list are from newspaper articles or journals and include the exact text which gives you a feeling of the time period. Another main source used for this list is a book written in 1905 called Premature Burial and How it May be Prevented which includes several actual cases of premature burials. Virginia Macdonald lived with her father in New York City and became ill, died, and was buried in Greenwood Cemetery, Brooklyn. After the burial, her mother declared her belief that the daughter was not dead when buried and persistently asserted her belief. The family tried in vain to assure the mother of the death of her daughter. Finally the mother insisted so strenuously that her daughter was buried alive the family consented to have the body taken up. To their horror, they discovered the body lying on the side, the hands badly bitten, and every indication of a premature burial. Interesting Fact: When the Les Innocents cemetery in Paris, France was moved from the center of the city to the suburbs the number of skeletons found face down convinced many people and several doctors that premature burial was very common. When Madam Blunden was thought to be dead, she was buried in the Blunden family vault at Holy Ghost Chapel in Basingstoke, England. The vault was situated beneath a boys’ school. The day after the funeral when the boys were playing they heard a noise from the vault below. After one of the boys ran and told his teacher about the noises the sexton was summoned. The vault and the coffin were opened just in time to witness her final breath. All possible means were used to resuscitate her but it was unsuccessful. In her agony she had torn frantically at her face and had bitten the nails off her fingers. Interesting Fact: A large number of designs for safety coffins were patented during the 18th and 19th centuries. 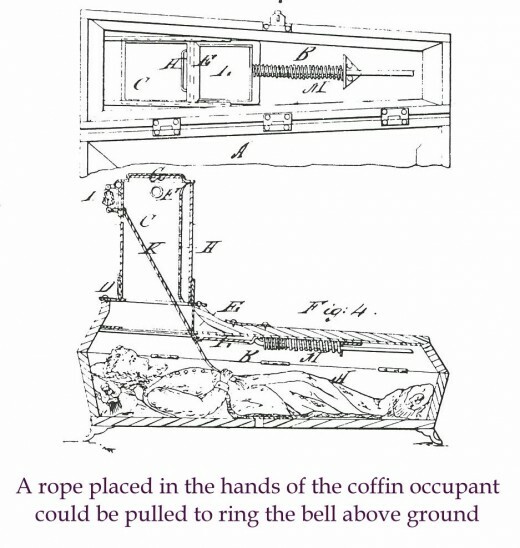 Safety coffin were fitted with a mechanism to allow the occupant to signal that he or she has been buried alive. You can see one of the variations here. Interesting Fact: In the 19th century, Dr. Timothy Clark Smith of Vermont was so concerned about the possibility of being buried alive that he arranged to be buried in a special crypt that included a breathing tube and a glass window in his grave marker that would permit him to peer out to the living world six feet above. You can see his grave here. “GRENOBLE, Jan. 18- A gendarme was buried alive the other day in a village near Grenoble. The man had become intoxicated on potato brandy, and fell into a profound sleep. After twenty hours passed in slumber, his friends considered him to be dead, particularly as his body assumed the usual rigidity of a corpse. 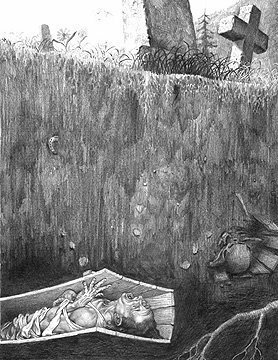 When the sexton, however, was lowering the remains of the ill-fated gendarme into the grave, he heard moans and knocks proceeding from the interior of the ‘four-boards.’ He immediately bored holes in the sides of the coffin, to let in air, and then knocked off the lid. The gendarme had, however, ceased to live, having horribly mutilated his head in his frantic but futile efforts to burst his coffin open. 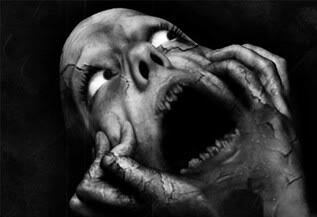 Interesting Fact: The Fear of being buried alive is called taphephobia. The word “taphephobia” comes from the Greek “taphos” meaning “grave” + “phobia” from the Greek “phobos” meaning “fear” = literally, fear of the grave, or fear of being put in the grave while still alive. Interesting Fact: In The Complete Worst-Case Scenario Survival Handbook, one of the worst case scenarios listed in the book is how to survive if you are buried alive in a coffin. If anyone finds themselves in the same predicament as the people on this list you can read some life saving information here. Interesting Fact: Today, when a definition of death is required, doctors usually turn to “brain death” to define a person as being clinically dead. People are considered dead when the electrical activity in their brain ceases. Interesting Fact: In 1822 Dr Adolf Gutsmuth was buried alive several times to demonstrate a safety coffin he had designed. Once he stayed underground for several hours and ate a meal of soup, sausages and beer delivered to him through the coffin’s feeding tube. Seventeen year old Mary Norah Best was the adopted daughter of Mrs. Moore Chew. Mary was pronounced dead from cholera and entombed in the Chew’s vault in an old French cemetery in Calcutta. The surgeon that pronounced her dead was a man who would have benefited by her death and had tried to kill her adopted mother. Before Mary “died” her adoptive mother fled to England after the second attempt on her life and left Mary behind. Mary was put into a pine coffin and it was nailed shut. Ten years later, in 1881 the vault was unsealed to admit the body of Mrs. Moore’s brother. On entering the vault, the undertaker’s assistant found the lid off of Mary’s coffin on the floor. The position of her skeleton was half in and half out of the coffin. Apparently after being entombed Mary awoke from the trance and struggled violently till she was able to force the lid off of her coffin. 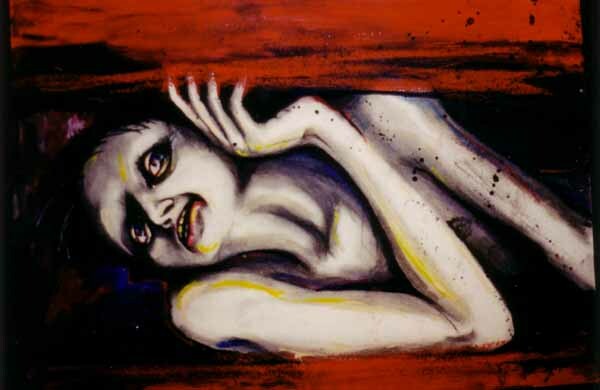 It is surmised that after bursting open her casket she fainted from the strain and while falling forward over the edge of her coffin she struck her head against the masonry shelf killing her. It is believed the surgeon poisoned the girl and then certified her death. Interesting Fact: Some believe Thomas A Kempis, a German Augustinian monk who wrote The Imitation of Christ in the 1400’s was denied canonization because splinters were found embedded under his nails. Canonization authorities determined that anyone aspiring to be a saint would not fight death if he found himself buried alive. Interesting Fact: Because of the concern of premature burials a Society was formed called Society for the Prevention of People Being Buried Alive. They encouraged the slow process of burials. In 1901 a pregnant Madame Bobin arrived on board a steamer from Western Africa and appeared to be suffering from yellow fever. She was then transferred to a hospital for those affected with contagious diseases. There she became worse and apparently died and was buried. A nurse later said she noticed that the body was not cold and that there was tremulousness of the muscles of the abdomen and expressed the opinion that she could have been prematurely buried. After this was reported to Madame Bobin’s father, he had the body exhumed. They were horrified to find that a baby had been born and died with Madame Bobin in the coffin. An autopsy showed that Madame Bobin had not contracted yellow fever and had died from asphyxiation in the coffin. A suit against the health officials resulted in £8,000 ($13,000) damages against them. Interesting Fact: Historical records indicate that during the 17th century when plague victims often collapsed seemingly dead, there were 149 actual cases of people being buried alive. This is a bonus because this event might be more folklore than fact. In researching premature burials this story came up many times with different names and locations as this Wikipedia article explains. However Snopes.com does give a story similar to this a “True” rating. My guess is that something like this probably did occur somewhere at sometime but the story has been embellished over the years. Margorie McCall’s story seems to be the most popular and goes something like this: Margorie McCall from Northern Ireland fell ill and was pronounced dead. After her wake which lasted for a few days she was interred in Shankill Graveyard. That night her body was exhumed by grave robbers. The robbers tried in vain to remove a ring from her finger and then attempted to cut her finger off to remove the ring. 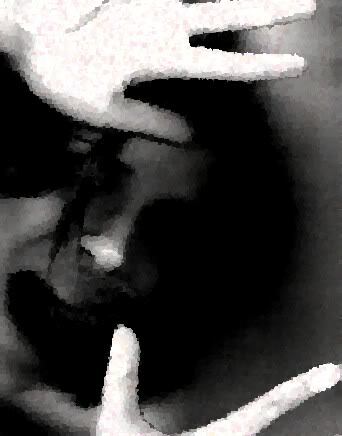 When they were cutting into her finger Margorie suddenly came to and the robbers fled the cemetery never looking back. 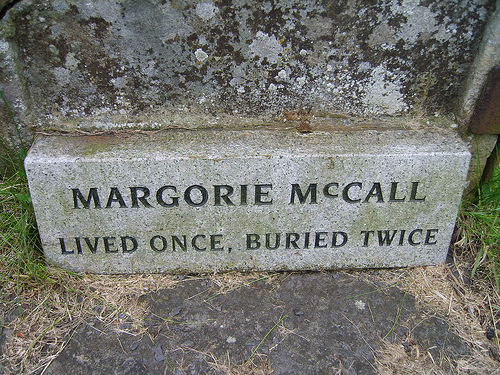 Margorie then climbed out of her coffin and walked home. Meanwhile her family was gathered at home when they heard a knock at the door. Margorie’s husband still in grief said “if your mother were still alive, I’d swear that was her knock.” and sure enough when he opened the door there she was dressed in her burial clothes, very much alive. Her husband fainted immediately. Interesting Fact: Many believe the terms “Saved by the bell” and “Dead ringer” has to do with safety coffins with the notion that a recently buried person could pull a rope attached to a bell outside the coffin to alert people that he or she is not deceased. Both of these have been proven false. Saved by the bell is a boxing term dating from the 1930s. Ringer is from horse racing and is a horse substituted for another of similar appearance in order to defraud the bookies. Dead was then added to the term later like ‘dead on’, ‘dead center’ etc.